As regularly as clockwork, our thoughts have already started to turn towards the new 2018 iPhone - but before we get too excited about what Apple's got in store for us this year, let's take a moment to reflect on what it's released since the very first iPhone back in 2007 over a decade back. How many of these iconic handsets and new, innovative features can you remember? It's difficult to overstate the impact the iPhone has had on the smartphone market: by eschewing the keypad for a touchscreen and adding advanced computer-like capabilities that hadn't been seen before, it set the standard for this modern device. 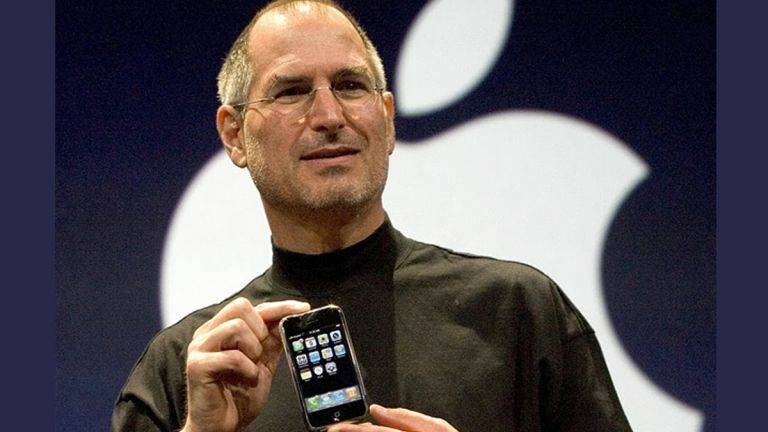 "Apple is going to reinvent the phone," said Steve Jobs at the time, and he was right - but the original iPhone had no third-party apps, no GPS and no video recording. Also missing from the original iPhone was 3G support, the top data speed of the time, though this was added to the second generation the following year (along with GPS). The first iPhone had been warmly received but by the 3G model people were really starting to see its long-term potential - and the concurrent launch of the App Store was a huge part of that, a true watershed moment in smartphone history. And so began the Apple tradition of adding an 'S' to the end of the name for a minor iPhone upgrade. The 2009 model of the iPhone did bring with it video recording capabilities for the first time, and the camera itself got an upgrade too. The "S" ostensibly stood for speed and reflected the improvements in the internal components, and Voice Control (not yet called Siri) was added to the iPhone too. If the iPhone 3GS was a smaller step forward, the iPhone 4 was a big one - it had a new, sleeker, more modern look, and massively increased the pixel count while keeping the same 3.5-inch display size (this was the first Retina display). It was the first iPhone with a front-facing camera, the first iPhone with some level of multitasking, and one of the most significant iPhones Apple has ever made. Apple swung back to the minor "S" upgrade for 2011's iPhone 4S, so there's not too much to write home about in terms of new specs and new features. The camera did get an upgrade up to 8 megapixels and perhaps the biggest improvement on the software side (we're up to iOS 5.0 now) was the arrival of Siri, the digital assistant that now plays such a major role on the iPhone. True to the earlier pattern set down by previous generations, the iPhone 5 was a major upgrade. It added an extra row of icons with an extra-tall screen (remember that? ), introduced the Lightning connector and had a lighter, aluminium casing. It really did usher in the modern iPhone era. On the iOS side, we got our first look at a rather buggy Apple Maps, taking over from Google Maps as the default option. In 2013 Apple decided to start releasing not one but two iPhones every September. The iPhone 5C was very much a rebadged iPhone 5 with a few cosmetic changes, giving iPhone buyers an option that was cheaper but still brand new for the first time. iOS 7 was launched at the same time, bringing true multitasking for apps and introducing the Control Centre for more convenient access to the iPhone's settings. The iPhone 5S was the flagship model for 2013, with a revamped design and a little feature called Touch ID introduced to the iPhone line-up for the first time. Another first was the 64-bit A7 processor inside the phone, an architecture change that other manufacturers have since followed. iOS 7 had a visual overhaul as well, introducing the bright icons and translucent menus that are still in place today. We're back up to date with the iPhone 6 Apple launched last year and the one still currently on sale as the flagship. As well as another design revamp, the iPhone 6 extended the display size to 4.7 inches and added in more pixels to boot. Also worth noting is the introduction of NFC for Apple Pay and other services, plus a significant upgrade for the camera, giving better photo and video results than ever before. For a long time Apple resisted the temptation to follow the industry trend for bigger and bigger smartphone screens, but it finally bowed to the pressure with the iPhone 6 and particularly the iPhone 6 Plus. With a display of 5.5 inches from corner to corner, it's the biggest iPhone ever and gets close to iPad mini territory. The handset has certainly come a long way since 2007. Apple's iPhone 6S didn't come as much of a surprise to many. Every odd-numbered year has yielded an 'S' variant of the previous year's phone, offering a few upgrades to the handset but largely keeping the same design and chassis. The iPhone 6S is almost identical to 2014's iPhone 6, to the point that we could barely tell the difference between the two in the hand, with a little extra thickness and weight to give you the clue that you're holding a next-gem phone in your hand. But while the outside is identical, the stuff that Cook's Crew crammed inside is a change - hence Apple's decision to give this phone the tagline: 'The Only Thing That's Changed Is Everything'. This one was a bit of a surprise. We'd expected a smaller iPhone with a lower price tag, but we didn't expect it to look like the iPhone 5 but with completely whizz-bang up-to-date innards. In our iPhone SE review we said "you won't buy this phone - but you will tell someone else to". Compared with its bigger screened bretheren it represented genuine value for money - although not compared to the huge number of Android alternatives of course. The iPhone 7 was what we expected - one of the best phones of the year and a strong match for the rival Galaxy S7 almost punch for punch. It was priced at a premium level - though Apple still sold bucketloads of course. Make sure you check out T3's full iPhone 7 review to see what we thought at the time. Was the iPhone X the best phone of 2017? Yes. But only by a whisker. The Galaxy Note 8 was so close, while Apple’s own iPhone 8 Plus gave you so much of the iPhone X benefit without such super expense. In the end though, it was the marriage of software and hardware that’s so effective here and that’s especially the case when it comes to Face ID. Read our full iPhone X review now.